Fosamax, Actonel, Aclasta, Aventis, Arendia, Didrocal, Pamisol and Novartis – these drugs are bisphosphonates and used widely in our community. 2.8 million prescriptions are issued each year for 250,000 patients, mostly for osteoporosis. In recent years bisphosphonates have also been used to treat cancers that have spread to bone (breast, prostate, liver, lung and kidneys), Paget’s disease and Multiple myeloma (a cancer of bone marrow), but in far larger doses than for osteoporosis. These drugs have been very effective, but in some cases they can cause jaw bone to die – OsteoNecrosis of the Jaw or ONJ is a serious condition with no known treatment. Mostly a tooth extraction has been the trigger to the problem, although there have been a few cases where it has resulted from denture irritation, gum disease or of unknown causes. Although rare, osteonecrosis is possible following tooth extraction in those taking Fosamax, Actonel and the other drugs listed above. There is no way of knowing how likely this is, or which patients are most at risk, and the risk does not appear to be reduced by stopping the drugs prior to extractions. The risk of ONJ appears to be more likely in older and medically compromised patients, particularly if they have been on the drugs for a long time and/or are on corticosteroids. Where the doses of bisphosphonates are higher (in the non-osteoporosis cases) and given intravenously, the risk is considerably greater but still reasonably low. If taking these drugs, you need to be aware of the risks and take care to maintain the good condition of your teeth through good oral hygiene, proper diet and regular dental examinations. Tooth extraction should be avoided to reduce the risks. You are welcome to discuss this with your medical practitioner, but stopping your medication is not necessary or helpful. 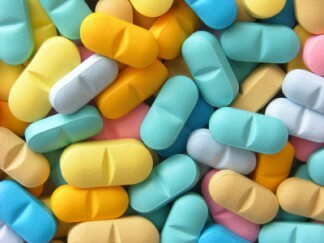 These drugs have been very effective in treating bone conditions so do not stop taking the drug without medical advice. If an extraction is required, extra steps need to be taken to ensure minimal damage to the jaw bone. This may include taking antibiotics prior to the extraction and a method of extraction that minimises the damage to bone. Referral to an oral surgeon may be an option. Your dentist will advise you of this before doing the extraction.